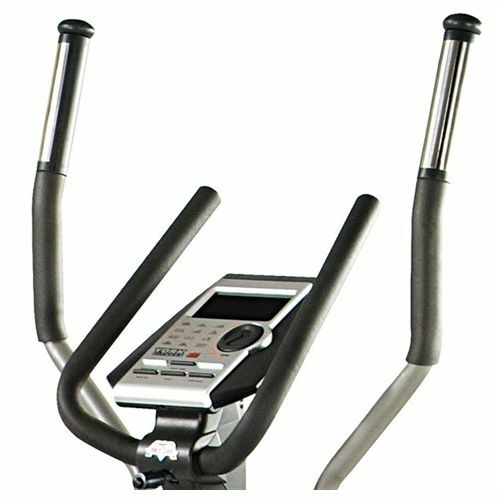 The York x301 cross trainer features a target heart rate program that automatically adjusts the resistance to match your heart rate and means you can direct your workout to specific areas.Choose between using the hand pulse sensors on the moving arms, enabling you to keep exercising your upper body whilst getting pulse rate feedback, and using the wireless heart rate receiver for even greater levels of heart rate accuracy. 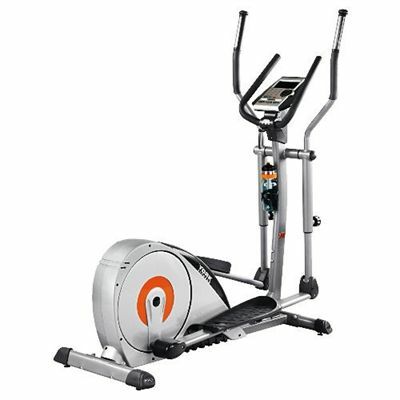 What's more, this York X301 elliptical cross trainer is built with the highest quality components so you can have the confidence it will support you in the most demanding of workouts, and last you for many years too. A great product at a great price, and all delivered to your door free of charge. Now there are no more excuses! "Excellent Trainer I chose the York X301 on 2 counts; The first being that York are a manufacturer with a proven background in the fitness world, and the X301 seemed to be exceptionally well built and with a specification that could cope with my 21 Stone frame. I purchased my York X301 trainer through Amazon Marketplace from Sweatband following a glowing recommendation from a friend. I found them very helpful in sorting out my special delivery instructions and it was a nice touch when they phoned me to confirm that my goods had been dispatched. I found the trainer very easy to assemble using the enclosed instruction manual, and within 1/2 an hour was ready to try it out. The trainer is very well made and doesn't wobble about like my previous one, and although the control display looked a bit daunting at first, is a doddle to master. All in all I'm very pleased with my purchase and thoroughly recommend both the York X301 and Sweatband. Allan Green." for submitting product review about York X301 Diamond Cross Trainer.